je ne trouve plus le post montrant les charmantes utilisatrices de nos "belles"
j'ai beau agrandir, je n'arrive pas savoir le modèle qu'il y a dans ces boi-boites ! ??? 90 ? 06 ? 62 ? Pas 61 quand même ? ...des M1 Garand rifle ? 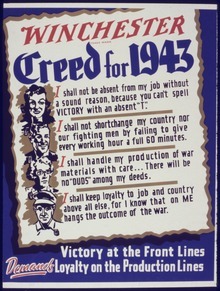 The U.S. M1 carbine (technically not a carbine in the sense of a short version of a parent rifle) was designed at Winchester by an eight-man team including Edwin Pugsley, Bill Roemer, Marsh Williams, Fred Humiston, Cliff Warner and Ralph Clarkson, although the popular press played up the role of ex-convict Williams. 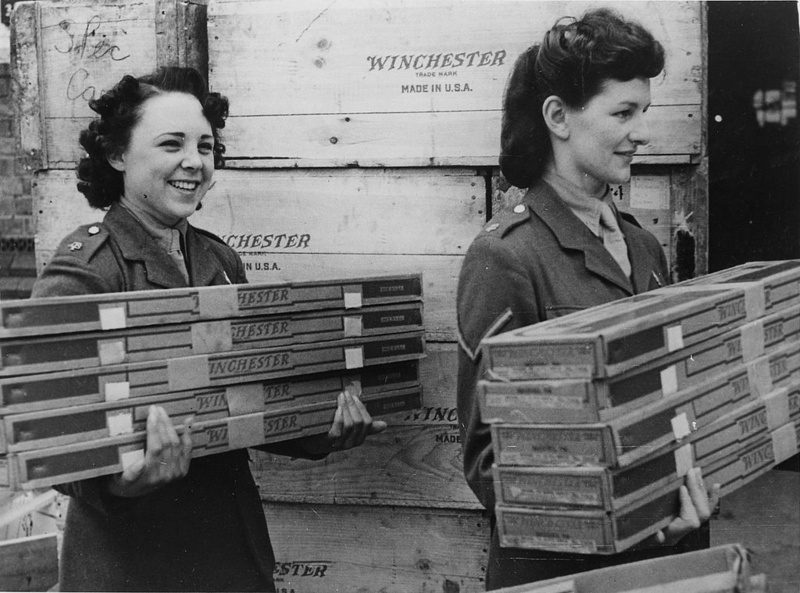 More M1 carbines were manufactured by Winchester and other firms than any other U.S. small arm of World War II. 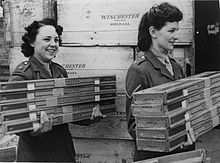 During World War II, Winchester produced the M1 Garand rifle and post-war was the first civilian manufacturer of the M14 rifle..."